I'm about to tell you something that may shatter what you think about the cloud: The hybrid cloud does not exist. The enterprise cloud adoption manual puts hybrid cloud at the top of the list. But you cannot buy one off the shelf. It’s not one-size-fits-all. Rather, the hybrid cloud is made up of models, processes, and multiple providers. The moment you start paying for a public cloud service, no matter how small or simple the service might be, you are in a hybrid cloud model. Ignore the textbook definitions: The “hybrid cloud” simply means you’re delivering IT services that use more than one hosting model. What determines the success of your delivery model? It’s the rules and processes you put in place for adopting new services from cloud providers. Here’s what you need to know about the hybrid cloud. No matter how good you are at managing your own datacenter, public cloud vendors do it better. Economies of scale change everything. Cost models, access to staff, and resources ascend to hyperscale at AWS, Azure, and Google Cloud Platform. Moreover, the gap between what you can do and what public cloud vendors offer will only get bigger over time. In other words, this is not a competition you can win. But imagine the benefits for your business if you didn't have to manage infrastructure at scale and could focus entirely on business processes, data, and analysis. No, you probably won’t retire your datacenter anytime soon. But the hybrid cloud provides means to offload infrastructure management as you see fit over time. If you look at the recent VMware and AWS partnership announcement, you would be forgiven for thinking that hybrid cloud is about extending your current infrastructure. Hybrid cloud is much more than a dual-vendor approach to datacenter hosting. Having multiple providers has less to do with all-eggs-in-one-basket and more to do with finding the right solutions and providers for specific workloads. You cannot force yourself into a hybrid cloud position. Everything depends on the lifecycle of your line-of-business applications (new and old). If you are upgrading, replacing, or re-implementing applications or services, chances are you will find a viable cloud solution. It’s all about timing. If you completed a version/step change a few years ago, then it’s unlikely the business case will justify a move to the cloud. Sunk costs will keep you anchored in your datacenter. This is especially relevant for off-the-shelf solutions. The mainstream vendors are starting to offer SaaS versions of CRM, ERP, HR, and so on, but it’s very difficult to lift and shift older architecture and software. Multiple vendors are a given in the hybrid cloud model. Maintaining a singular identity across all systems should be top priority. If you want to have a good user experience and be able to manage access and control, you must have a single identifier. 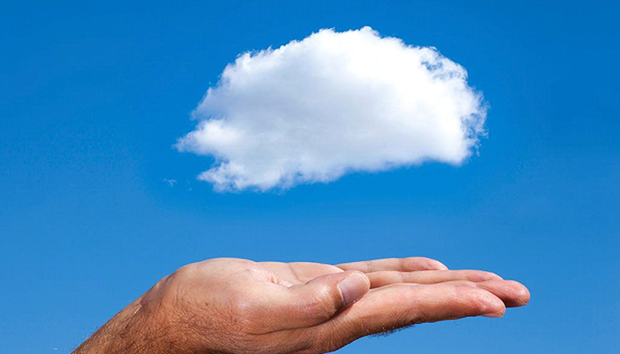 The ability to extend your corporate identity into cloud models should be a key part of the vendor selection process. As application lifecycles roll on, IT services come up for review or refresh. At the same time, more of your systems will be viable in cloud. The speed of innovation in the public cloud will eventually reduce performance, function, and security gaps -- so it’s not too early to start your transition plans for systems and applications left in traditional datacenters. Identify the tipping points when it will make sense to move a cloud model, even if you think they appear to be a long way off. Enterprise systems are large and complex, and they generally support important business processes. Over time, you may find that various providers will offer fully capable SaaS-based versions of the applications you’re using. Cloud has facilitated a big growth in managed service offerings. Solution integrators can now offer hosted and fully managed services without the massive capital expenditure. The move to a managed service will most likely result in a hybrid cloud model. You will extend your networks, data, and identity to the managed service provider. It might not match the textbook definition, but this is hybrid cloud. Very likely you’ll find yourself using multiple services and subscriptions on the same public cloud platforms. You might have a corporate-owned environment that provides DR services and another instance that your managed services provider uses to deliver ERP. There will come a point where it makes sense for you to be master of your own destiny. Consider consolidating those subscriptions and take your destiny under control.